Australian law firm Russells has strengthened its hold in the corporate arena with the appointment of Rupert Copeman-Hill as team leader of the firm’s fast-expanding corporate division. Previously, Copeman-Hill had been the special counsel in Minter Ellison’s corporate group in Brisbane, where he advised Australian and global companies on M&A and private equity transactions and capital raisings, company directors on corporate law duties, and corporate governance issues. 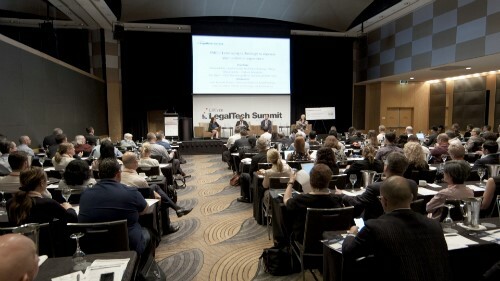 Russells’ managing partner, Stephen Russell, told Australasian Lawyer the appointment marks another milestone in the transformation of a firm that was once a solely commercial litigation specialist in Queensland, to a specialist in four core business law areas of practice: Corporate & Financial Services, Commercial Property, Insolvency & Reconstruction and Commercial Litigation. “Our steadily growing team is composed of true specialists, recognised nationally as such by their peers. Rupert is another such specialist, and is developing a leading M&A, private equity, financial services and equity capital markets practice,” he says. The Brisbane corporate division also recently saw the appointment of senior lawyer Fraser Ross (former head of legal at RBS in Hong Kong), and it is now looking for a high calibre corporate partner to lead the growth of the team in Sydney. Managing partner Russell says the corporate growth has been both planned and occurred organically. New team leader Copeman Hill brings vast experience from working in top tier law firms both at home and in the UK and the Middle East, as well as being head of legal & compliance at a Middle Eastern investment bank. These experiences equip him to well to lead the corporate and financial services team, and to grow it in line with the firm’s expansion plans, says Russell, adding the firm plans to continue developing its four practice areas. He says market demands are changing rapidly, and it will be those who adapt quickest and provide the best advice on time that will continue to thrive.